The value of respect is very high on the list of millennial generation values, and it also is at the heart of gender equality. Gender researchers have contended for almost a half century that every generation has become more egalitarian — right up to the millennials. And that would make sense, not only because of millennial values but also because comfort between the sexes in business seems to be on the rise. So, I was surprised to read a recent article by Chris Haigh on the andieandal.com blog citing evidence from a variety of studies and polls to conclude that “discriminatory gender stereotypes and biases are just as pervasive and influential — if not more so — among Millennial men as they were among the men of earlier generations.” Although the authorities cited were not as current as I would have liked, it was disturbing to read. Whew! 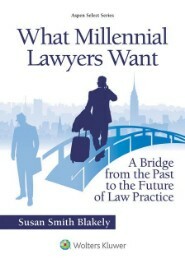 That is not what I expected — after spending a considerable amount of time studying millennials and millennial lawyers and their values and behaviors — and I was hoping for more from the male lawyers of that generation. I still am, in fact. 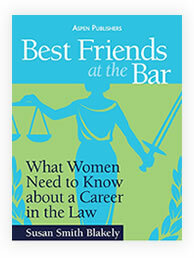 But, I also know from the young women lawyers I interface with on a regular basis, including the superstar variety who are on the fast track to partnership or have already arrived there, how implicit bias continues to play out in the workplace and interfere with their career advancement. 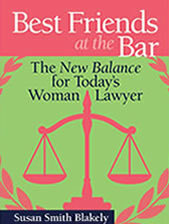 And I also know that it is not just about scheduling meetings early in the morning or late in the day, which disadvantages women lawyers with young children. And it is not all about staging promotional and client events that are centered on testosterone-driven activities that give male lawyers a leg up in client development. 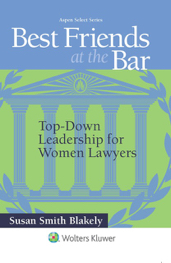 It is also about assigning detail-oriented projects to female lawyers because they are “so much better at details” than their male colleagues — while, at the same time, assigning strategic and conceptually-centered tasks to the male lawyers — disadvantages women and leaves them behind the power curve when it comes time to evaluate them for partnership. And that is a really big problem. It goes something like this: “Oops. Sorry. She was so mired down in the details that she never got that highly-prized deposition and motions practice experience, and we just don’t think she is ready for prime time.” Sorry indeed. That’s a lot to be sorry for. We must do better. Implicit bias is insipid. We need to begin by educating our sons — and our husbands and our fathers. Research shows that most males do not think that implicit bias even exists. Ask the men in your life. See if they can even come close to being able to define it — or even if they care to try. So, we have our work cut out for us. Darn. I thought those millennial males were going to save us the trouble. This entry was posted in Career Counselors, Law Firm Managers, Law School Educators, Law Students, Practice Advice, Pre-law, Young Lawyer. Bookmark the permalink.